Clandestine drug lab production contaminates surfaces, drains, ventilation systems and furnishings with hazardous chemicals. 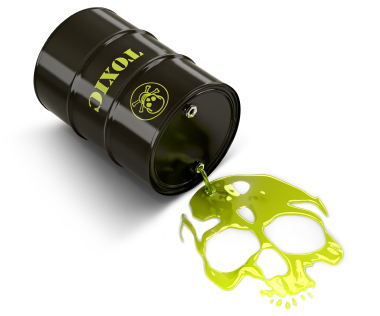 Residual toxins may pose serious health threats to persons exposed to this environment and to discarded materials. Clandestine drug lab clean up also known as Meth (methamphetamine) Lab Cleaning, is extremely dangerous to perform in terms of health risks. Some of the poisonous chemicals used to make street-grade drugs include acetone, methanol, ammonia, benzene, iodine and hydrochloric acid and leave a toxic residue that coats and infuses every surface and even stays in the air. Most of these poisonous substances can be absorbed through the skin, making the remediation of Chemical Cleans one to be treated with care, training, knowledge and skill. Exposure to Illegal drug labs can cause reproductive disorders, birth defects, blindness, lung damage, liver damage and kidney damage. The scene remains toxic indefinitely unless it is properly decontaminated even if clean to the eye. A premises that contained a Clandestine drug lab can make its occupants sick up to a decade after the lab is removed. Proper clean-up involves disposing of both porous materials as well as those which cannot be submerged in detoxification chemicals. Element Restorations' ITI and IICRC Trained and Certified technicians will safely decontaminate the property, then transport and dispose of any contaminated furniture, cabinetry, fixtures, carpeting etc, and also provide independent environmental testing reports for the decontaminated premises fpr your peace of mind. Element Restorations is based in Brisbane, however our Service Area includes all of South East Queensland (SEQ) which is made up of Greater Brisbane, Gold Coast, Sunshine Coast, Ipswich and Toowomba. If you would like us to respond to a location outside of our usual service area please Contact Us with any questions you may have.